This morning I was up and out early! By 6:45am I was in the studio at WTNH setting up for a segment on Good Morning CT Weekend. 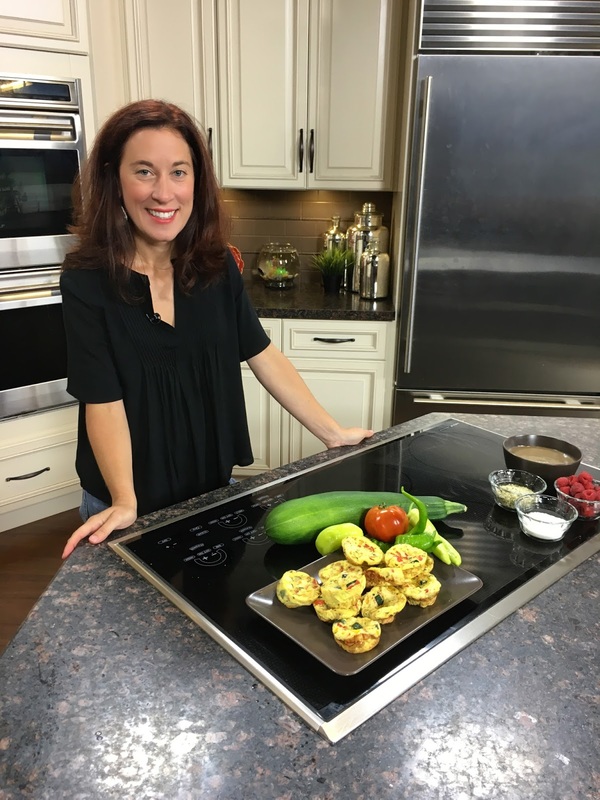 At that early hour, it was appropriate that host Stephanie Simoni and I were scheduled to chat about breakfast ideas for busy mornings. I may not be a morning person, but I always eat breakfast. I think of it as fuel to start my day, so it's important that I get going with something delicious but also healthy. A good grab-n-go idea: Egg Muffins. They are protein packed and easy to customize it with whatever meat, veggies and/or cheese you like. The best part is that you can make a few dozen ahead of time, then in the morning all you need to do is give them a quick reheat and off you go. To make a dozen full-sized egg muffins use about 10 eggs, or to whip up a dozen mini ones use 8 eggs. Of course, I had to talk about smoothies and smoothie bowls. I brought along a Chocolate Avocado Smoothie Bowl that I've dubbed "breakfast pudding." After all, who wouldn't want "pudding" for breakfast? All you need to do is toss a frozen banana, avocado, and some chocolate almond milk into a blender and blend until smooth and creamy. Then, the fun part is that you can top it any way you like. I love toppings like berries, nuts/seeds/hemp hearts, and flaked coconut. Another great go-to recipe, that sounds like dessert but is still healthy enough for breakfast, is my recipe for an Apple Pie Smoothie. Or, make a batch of Three Seed Granola ahead of time, then in the morning top a scoop of greek yogurt with it. Whether you're just trying to get yourself out of the house in the morning or your entire family, I hope these ideas help get your day started on a healthy note. 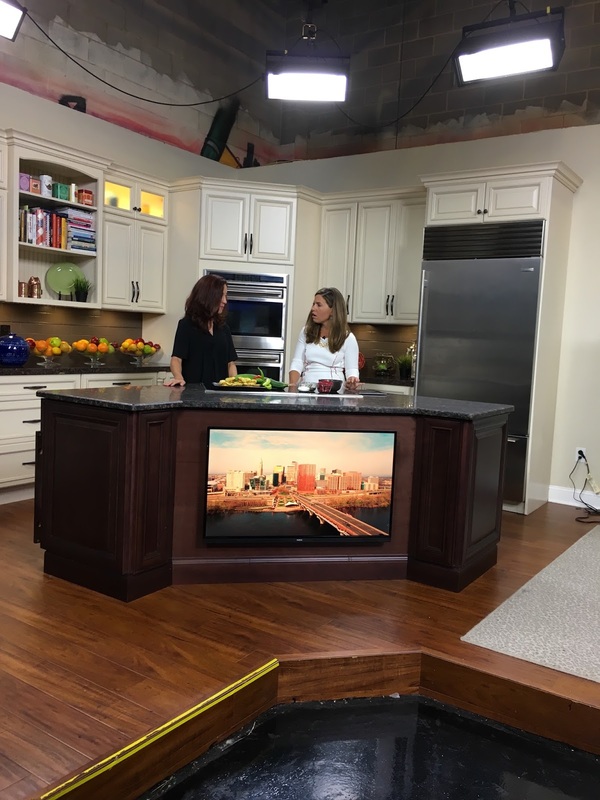 I very big thank you to WTNH and Good Morning CT Weekend for having me on the show. I will be sure to share the segment as soon as it's posted online. Have questions or want to share your healthy breakfast ideas, let me know in the comments. Hi Alicia! Congrats - you did great!! It's crazy how early morning anchors have to get up - getting up for this segment would be early enough for me!